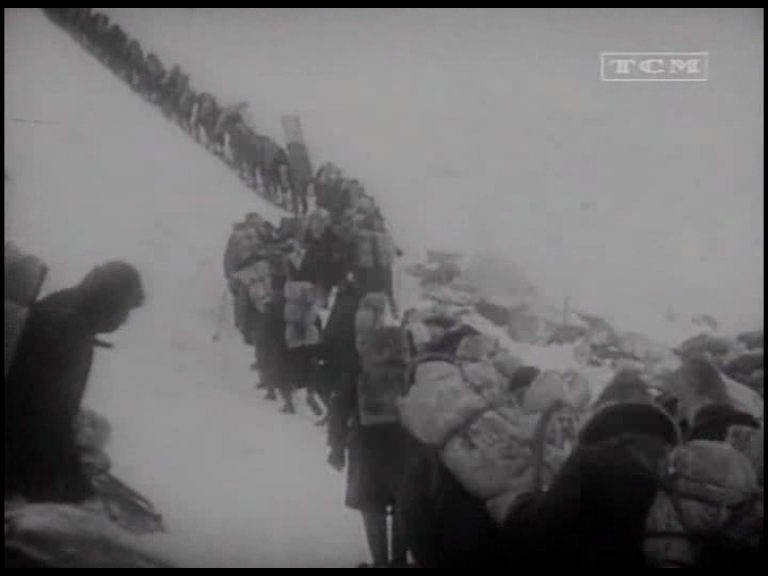 Clarence Brown’s THE TRAIL OF ’98 makes somewhat morbid viewing, if you’re aware of the story told about its making — a boatload of stuntmen overturned while running the rapids, and a rope strung across the river to help them resist the current proved ineffectual, because the assistant director hadn’t reinforced the dangling nooses with wire. The nooses hung limp and froze into knotty poles — the numb fingers of the perishing crew men could not find purchase, and four were swept off to their deaths. Only two bodies were recovered, the other two being carried away into the glacier. So we’ll get them back any day now. The only one to make a real impression is Harry Carey as the villain, because he has such a fiery screen charisma. Just by grinning coldly he lets us know that this guy is dangerous. 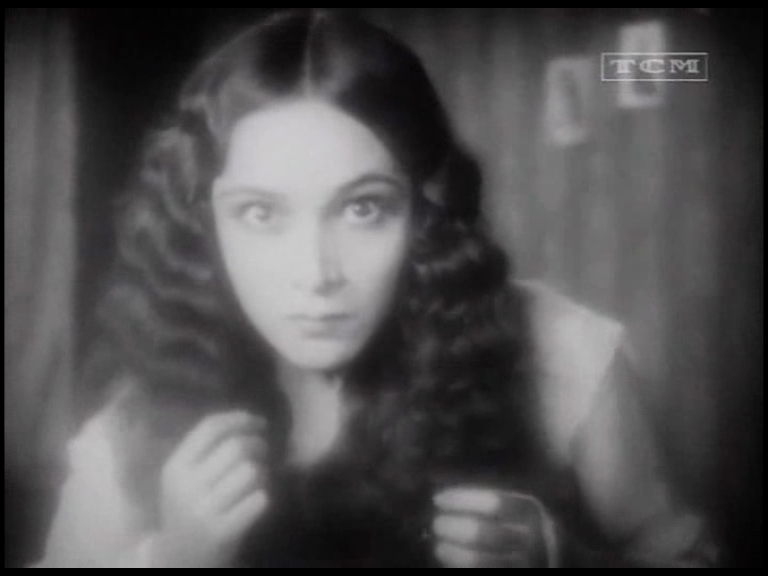 Later, he rapes Del Rio, and Brown films a driving track-in on her terrified face from Carey’s point of view — the scene fades out with a Vitaphone scream, this being an MGM soundie (also featuring gunshots and a song). The movie is also a pre-code, which means that Del Rio, forced into prostitution, doesn’t have to die — she and her lover are reunited and he begs her forgiveness, since it was his abandoning her to go hunt gold that led to her downfall in the first place. 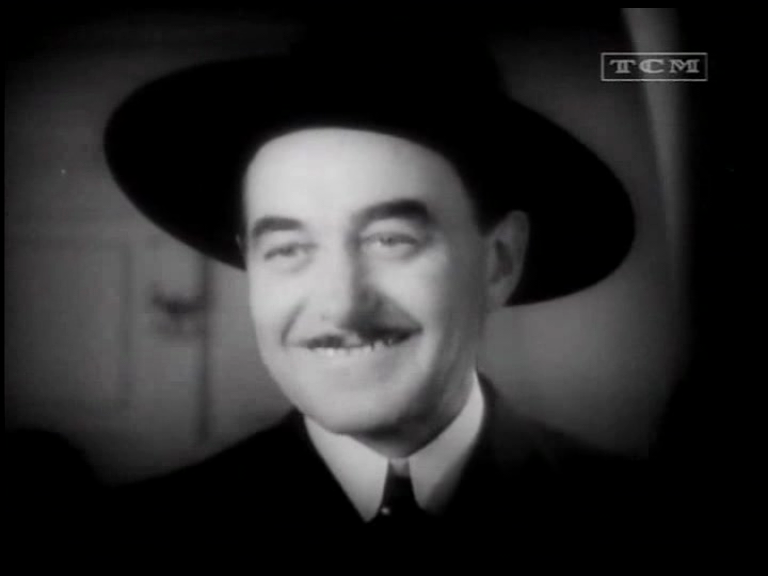 MGM movies weren’t usually so progressive, but Clarence Brown does embody the studio’s more humane and liberal tendencies (making the brutality of this film all the more startling). The movie isn’t exactly likable — movies with fatalities seldom are — and the thinness of the plot doesn’t help it, but the spectacle is shockingly good. A special effects avalanche saved them from killing even more people, and though you can see that the victims vanishing beneath the falling snow are actually being removed by an animated wipe, it’s very effective. The IMDb reports that Jacques Tourneur was an extra in this and that Dolores Del Rio’s stunt double was Lou Costello. This is hard to imagine, but fairly amusing if you manage it. The main problem with the anecdote is that Dolores doesn’t jump out of any windows, but plenty of other people do, so the possibility of Lou donning drag and defenestrating himself cannot be dismissed altogether. I do a lot of Griffith-bashing here and elsewhere — last semester, a student volunteered that he was glad to be able to avoid BIRTH OF A NATION after hearing me describe it in class. I felt slightly bad, because I rather feel the film should be seen, as an object lesson in the importance of questioning the beliefs you’re raised in. There’s its importance in film history too, but students can’t see everything, ours is essentially a practical course, and there are other movies from which film technique can be gleaned more enjoyably. 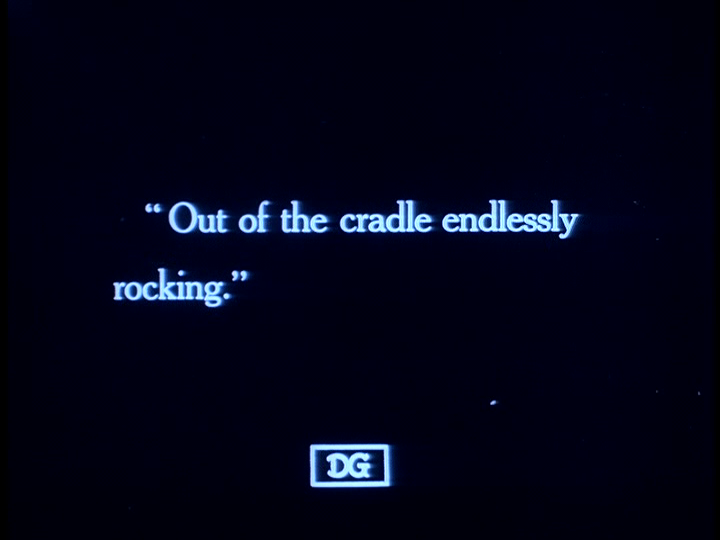 But here’s the famous intertitle from INTOLERANCE, and I’m moved to say that it’s (in the words of General Oliver North) a really neat idea — tying together Griffith’s sprawling storylines with the observation that all human history emerges from the cradle. It’s where all the trouble starts. Of course, the words come not from Griffith, nor from Anita Loos, nor from any of the gang of people employed to write titles on this unruly epic, but from Walt Whitman. Kevin Brownlow & David Gill, whose documentaries introduced me to Griffith, occasionally risked coming off as apologists for Griffith’s sins, unavoidably I suppose, since their documentaries give a voice to people like Gish who WERE unadulterated Griffith-boosters. But they scored a devastating and irrefutable hit when they observed, of INTOLERANCE, that the one aspect of man’s inhumanity to man not treated in the film was racial intolerance. Which means the film cannot serve as an apologia for, or moderation of, the horrific crimes of BIRTH OF A NATION. My maternal grandmother, Dora, reminded me slightly of Lillian Gish. But she was not a fan — I remember when the subject came up, she mimicked the famous “forced-smile” gesture from BROKEN BLOSSOMS and described how everybody had laughed at it. This confused me: I knew from my reading that the film had been a success. Surely audiences hadn’t mocked such a key scene at the time? A bit of digging cleared things up. My grandmother seemed very old to me, but she still didn’t seem old enough to have seen and remembered BROKEN BLOSSOMS in 1919. But the film was re-released in the early thirties with a synchronized score (just as, more famously, BIRTH OF A NATION came out with a new prologue featuring Griffith and Walter Huston). And it probably didn’t do Griffith’s reputation any good. 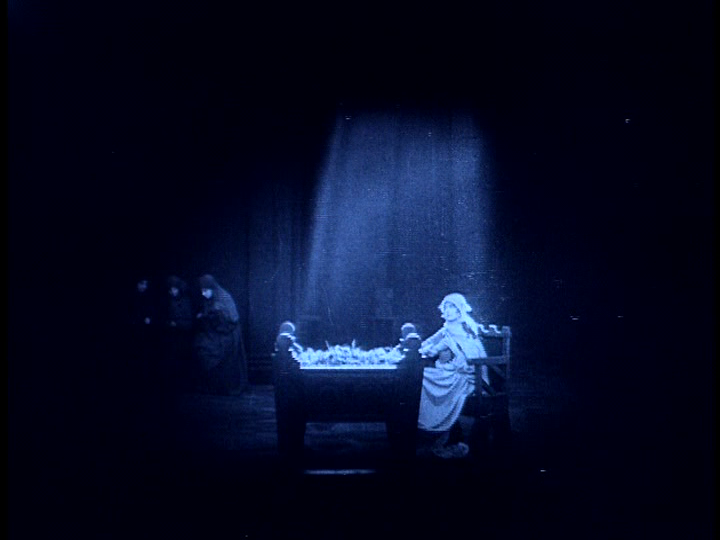 Audiences, drunk on the heady wine of talkies, were suddenly exposed to this antique, more than ten years old, before all the developments of silent cinema in the twenties, and partaking of a cod-Dickensian aesthetic and world-view which must have seemed positively primordial. I get the impression that the 1936 remake (by John Brahm) didn’t set the world on fire either. So for Griffith, struggling to appear current and cutting edge in an industry increasingly thrilled by the New, reminding folks of his past triumphs might actually not have been the smartest move. But that would have left him with no moves at all. 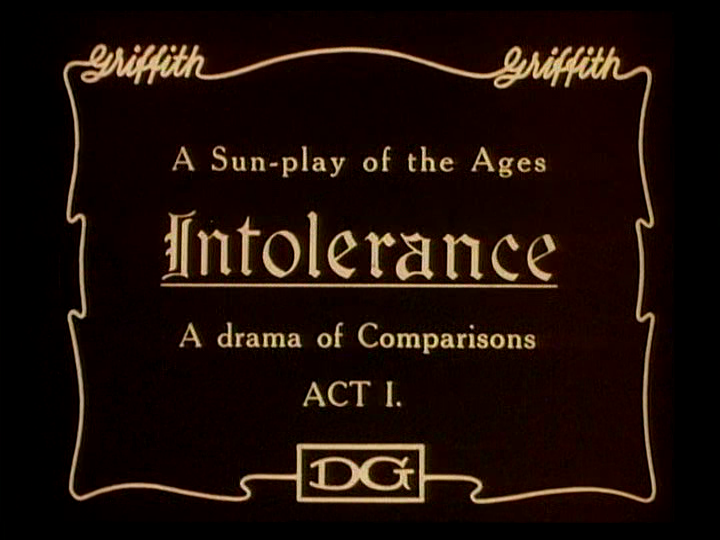 A Griffith innovation which didn’t catch on: note that this print is not subtitled “Love’s Struggle Through the Ages” but “A Sun-Play of the Ages.” Did DW have it in mind of this to become the standard term, replacing “movie”? What a feather in the cap that would have been, to not only (falsely) claim to have invented everything in the cinematic lexicon, but to name the medium itself. I say we bring the term back. Is HOT TUB TIME MACHINE a sun-play of the ages too?